I’ve created a new canvas using the moodboard on the Mixed Media Place blog. I decided to use the left centered image as my main inspiration. I love the bright and happy colors. Perfect for the grey and rainy days ;). I’ve added some Mulberry Roses by I Am Roses to the canvas, inspired by the flowers on the moodboard. They were already black so i just added a bit of black gesso and added color to them with the rest of the canvas. The gorgeous embellishments on the canvas are from Prima Marketing, Finnabair and Mitform Castings. The last one is a new brand of metal embellishments, perfect for Mixed Media and of amazing quality. You can find a list of sellers on their Facebook Page. Cindy, you always create beautifuln and detailed projects as this one. 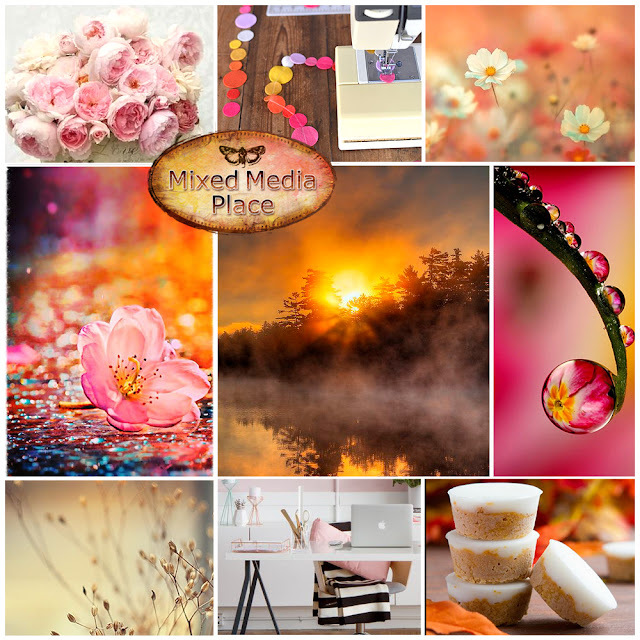 Thank you for joining us at Mixed Media Place.